Toyota Avensis Liftback 2.0 D-4D. COMMON RAIL INJECTOR WASHER / SEAL. THICKNESS : 3.0 mm. GENUINE DENSO. LAND ROVER DEFENDER 2.4 DIESEL 2006-ON. THE VALVE IS SUPPLIED AS PICTURED . LEXUS IS220D 5TH INJECTOR NOZZLE. TOYOTA AURIS AVENSIS RAV4 COROLLA. 1 X DENSO ORIGINAL INJECTOR. ENGINE CODE. Oil Cooler Thermostats. Bumper Trims. Bumper Blanks. Wheel Trims. Fuel Injectors. BEFORE FITTING INJECTORS. DIESEL FUEL INJECTOR. Exhaust Valves. 2.2 FWD & 2.4 RWD. Main Bearings. GENUINE DENSO. LAND ROVER DEFENDER 2006 ON. THE RAIL HAS BEEN RECONDITIONED TO A OEM SPECIFICATION, SO YOU CAN MAKE CERTAIN YOU ARE GETTING A RAIL THAT LOOKS AND WORKS LIKE NEW. 0196710-120 / 096710 - 130. DENSO DIESEL. 097300-0019 / 097300-0050. 097300-0017 / 097300-0018. View Our Categories. TO FIT DENSO COMMON RAIL INJECTOR LAND ROVER DEFENDER 2006 ON. 2.2 FWD & 2.4 RWD. View Our Categories. 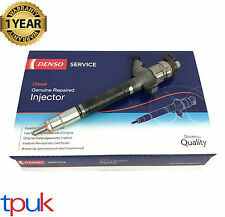 TO FIT DENSO COMMON RAIL INJECTOR LAND ROVER DEFENDER 2006 ON2.4 RWD. 2.5L AJ25 V6 petrol engine. 3.0L AJ30 V6 petrol engine. New and unused. That's why they select DENSO fuel injectors. DENSO is a leader in injector technology for fuel efficiency, engine responsiveness, and dynamic range. New Klarius Exhaust Rear Silencer Box Land Rover Freelander 2.0TD4 00-06 LR188W.GBP 34.99 View Item. That's why they select DENSO fuel injectors. DENSO is a leader in injector technology for fuel efficiency, engine responsiveness, and dynamic range. Klarius Exhaust Rear Silencer Box Land Rover Freelander 2.0TD4 2000-2006 -LR188W.GBP 37.50 View Item. Land Rover 2.4 diesel injector. TO FIT DENSO COMMON RAIL INJECTOR LAND ROVER DEFENDER 2006 ON2.4 RWD. View Our Categories. DIESEL FUEL INJECTOR. Fuel Injectors. BEFORE FITTING INJECTORS. Fuel Rail Sensors. INJECTION SYSTEM MUST BE FLUSHED AND CLEANED : THIS INCLUDES PIPES AND COMMON RAIL. 2.2 FWD & 2.4 RWD. Main Bearings. COMMON RAIL INJECTOR WASHER. TO FIT DENSO COMMON RAIL INJECTOR FOR MAZDA 6 2.0 Di. MAZDA 6 MPV Mk II (LW) 2.0 Di. MAZDA 6 (GG) 2.0 Di. MAZDA 6 HATCHBACK (GG) 2.0 Di. MAZDA 6 STATION WAGON (GY) 2.0 Di. That's why they select DENSO fuel injectors. DENSO is a leader in injector technology for fuel efficiency, engine responsiveness, and dynamic range. Ford Mondeo Jaguar X Type 2.0 2.2 2001-2009 Tdi Exhaust Centre Front Flexi Pipe.GBP 20.29 View Item. REMOVED FROM 2010 MODEL. to help you with order. 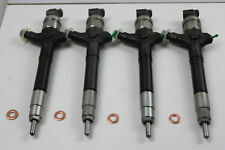 MAZDA 6 2.0 DIESEL INJECTOR DENSO RF7J 13H50. ENGINE CODE RF5C. NORTHERN IRELAND. Fuel Injectors. BEFORE FITTING INJECTORS. DIESEL FUEL INJECTOR. 2.2 FWD & 2.4 RWD. Fuel Rail Sensors. INJECTION SYSTEM MUST BE FLUSHED AND CLEANED : THIS INCLUDES PIPES AND COMMON RAIL. Main Bearings. CITROEN RELAY 2006 ON. PEUGEOT BOXER 2006 ON. LAND ROVER DEFENDER 2006 ON. Fuel Injectors. BEFORE FITTING INJECTORS. DIESEL FUEL INJECTOR. GENUINE DENSO. FULLY REMANUFACTURED. MALTINGS TRADE CLUB MEMBERS RECEIVE FURTHER DISCOUNTS CALL FOR DETAILS OR VISIT OUR WEBSITE!! 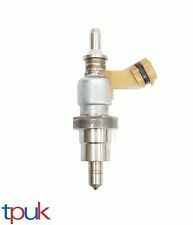 MALTINGSOFFROAD LANDROVER DEFENDER 2.4 TDCI PUMA FUEL INJECTION PUMP VAPOUR RELIEF VALVE. LANDROVER DEFENDER TDCI FUEL INJECTION PUMP VALVE GENUINE DENSO VALVE LR009837 X1 ANY QUESTIONS CALL ANDY 01427 753394 WE DO ALL PARTS FOR ALL LANDROVERS BOTH PATTERN AND GENUINE AT VERY COMPETITIVE PRICES PLEASE CALL US ON THE PARTS LINE FOR ANY PART YOU MAY REQUIRE, WE ARE ALSO HAPPY TO GIVE ADVISE IF YOU NEED ANY. MALTINGS OFF ROAD LTD WESTWOODSIDE DONCASTER DN9 2AR BECOME A MALTINGS TRADE CLUB MEMBER AND RECEIVE FURTHER DISCOUNT ON EBAY ITEMS,FREE CARRIDGE AND FREE LANDROVER TECHNICAL SUPPORT FROM OUR SERVICE DEPARTMENT. CALL FOR DETAILS!!!. PEUGEOT BOXER 2006 ON. LAND ROVER DEFENDER 2006 ON. 2.2 FWD & 2.4 RWD. 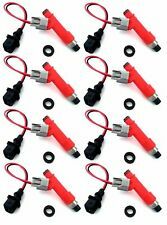 Fuel Rail Sensors. CITROEN RELAY 2006 ON. INJECTION SYSTEM MUST BE FLUSHED AND CLEANED: THIS INCLUDES PIPES AND COMMON RAIL. Main Bearings. This is the complete overhaul service kit for your Denso sidefeed injectors. Seal kit 178 for 4 cylinders, contained are Seal kit 178. The seals are exacting in grade of Viton for your injector 70-90 Shore rated. 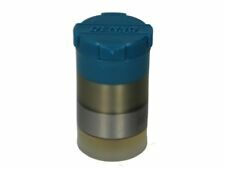 MANUFACTURED BY DENSO FOR JOHN DEERE. 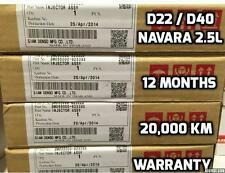 DENSO PART NUMBER 294009-0120. HS1-9, IV40-51, IV55-56, KA27, KW15-17, PA20, PA41-49, PA60-78, PH42-44, ZE1-3. AB30-38, AB44-56, FK17-99, G83, IV1-28, IV30-39, IV52-54, IV63, KW1-14, PA21-40, PH15-26, PH30-41, PH49-50. 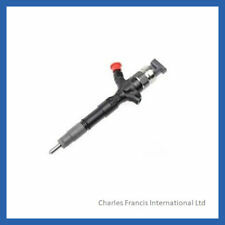 RECONDITIONED DENSO DIESEL INJECTOR, FITS TOYOTA AVENSIS. WE WILL NOT SEND A REQUEST FOR AN EXTRA £20 PER INJECTOR LIKE OUR COMPETITORS DO. 12 MONTHS WARRANTY. HS1-9, IV40-51, IV55-56, KA27, KW15-17, PA20, PA41-49, PA60-78, PH42-44, ZE1-3. WE WILL NOT SEND A REQUEST FOR AN EXTRA £20 PER INJECTOR LIKE OUR COMPETITORS DO. Isuzu D-Max/Rodeo 3.0L 2007 Onwards. 12 MONTHS WARRANTY. AB30-38, AB44-56, FK17-99, G83, IV1-28, IV30-39, IV52-54, IV63, KW1-14, PA21-40, PH15-26, PH30-41, PH49-50. FITS ALL 2.4 TDCi ENGINES. 2006 - 2012 MK7. Fuel Rail Sensors. Head Bolts. DIESEL FUEL INJECTION PUMP. Fuel Filler Flap and Housing. Fuel Injection. Main Bearings. COMMON RAIL INJECTOR WASHER. TO FIT DENSO COMMON RAIL INJECTOR TO FIT ALL MAZDA 2.0 ENGINES WITH DENSO INJECTORS. Fits : MAZDA 5 2.0 D. 095000-587 / 095000-785. 095000-503 / 095000-578. View Our Categories. COMMON RAIL INJECTOR WASHER. TO FIT DENSO COMMON RAIL INJECTOR . NISSAN NAVARA D40 YD25 DCi PATHFINDER R51. HERE IS FOR SALE IS FUEL INJECTOR RAIL. That's why they select DENSO fuel injectors. DENSO is a leader in injector technology for fuel efficiency, engine responsiveness, and dynamic range. At A to Z Autoparts, we have knowledge of the A to Z of Car parts and accessories. IF THERE IS A PART YOU ARE LOOKING FOR AND YOU CAN NOT FIND IT. DENSO COMMON RAIL INJECTOR View Our Categories. Fuel Injectors. BEFORE FITTING INJECTORS. DIESEL FUEL INJECTOR. Fuel Rail Sensors. INJECTION SYSTEM MUST BE FLUSHED AND CLEANED : THIS INCLUDES PIPES AND COMMON RAIL. 2.2 FWD & 2.4 RWD. Main Bearings. NOZZLES STAMPING NUMBER DN0PD704. NEW SET OF 4 DIESEL NOZZLES. TOYOTA 1KZ-TE. 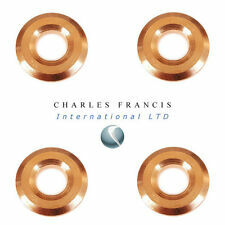 TO FIT DENSO COMMON RAIL INJECTOR INJECTOR COPPER WASHER. 6C1Q-9K546-AC / 6C1Q-9K546-BC. 095000-580# / 095000-706#. 3.2 TDCi RWD. 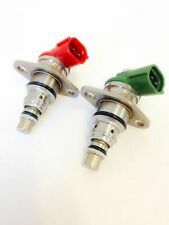 Fuel Rail Sensors. Head Bolts. FUEL INJECTION PUMP. Fuel Filler Flap and Housing. Fuel Injection. Main Bearings. DENSO TYPE. Toyota Avensis 2.0 Diesel Injectors.OEM number 23670-0R100 came from 2011 engine, very smooth running engine. Injectors are used but in good condition. May fit 2009,2010,2011, 2012, 2013 & 2014. PRICE QUOTED IS FOR 1 INJECTOR. Any Question please ask on ebay. That's why they select DENSO fuel injectors. Injector Manufacturers Applicable Part Number(s) DENSO is a leader in injector technology for fuel efficiency, engine responsiveness, and dynamic range. 1 x Denso Leak Off Connector T Piece 180 Degree.